Editor’s note: This month, Jane Alexander Stewart’s Cinemashrink review is followed by a second review by True Emerson Shields. True is a twenty-three year old graduate of UC Berkeley who worked for The Daily Californian and reported on one of many demonstrations that followed the death of Oscar Grant in 2009. He is now a resident of Oakland. To watch Fruitvale Station is to feel sad during every event in the film that follows the opening scene of 22-year-old Oscar Grant, caught on a phone video, being shot in the back while handcuffed. The film chronicles Oscar’s last day as he makes up with the mother of his daughter, celebrates his own mother’s birthday and tries to turn things around for himself. To watch a young black man needlessly killed is to connect with a deeply disturbing reality in society, an historical legacy of complex racial issues. President Obama recently spoke about his own experiences with societal prejudice, women clutching their pocketbooks tight to their bodies when he entered the elevator in his apartment complex as a young man. To witness a night of great celebration for everyone, everywhere in the world, New Years’ Eve — a night that ushers in fresh hope for the world — end in a nightmarish fashion is to contemplate an evil force of nature residing in our midst, one that is quite capable of disrupting ordinary life. Most of the time we ignore it. But C.G. Jung cautions us about a dark flood of malevolence, born of chance, which can crush order and meaning (Jung, The Shadow, 1959). He speaks of the consciousness to be born of unconsciousness, the significance of attending to the whole of circumstances and the healing that pairing of hope with disaster can bring when evil belongs to no one in particular. 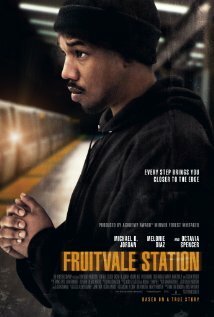 Fruitvale Station portrays a young black man who is killed in a perfect storm of circumstances. At 22, Oscar is already an ex-con and father of a six year old daughter. He’s got a good heart and a hot head. His good heart has earned him a girlfriend who loves him in spite of his missteps, a family that loves him and looks the other way when he fumbles, and a way about him that makes us in the audience wish we could change the ending of the film. His hot head lands him in San Quentin for dealing drugs, marks him as a troublemaker to employers and provokes him to mouth off and fight when he shouldn’t. On his last day, he’s portrayed as just a young man, dropping his kid off at school, trying to get away from selling weed for a living and aiming to please by agreeing even when he can’t deliver. We all remember ourselves in Oscar’s shoes, wanting to be and do more than we were, than we could. He’s young, smart and ready to prevail. But he’s not ready to adapt. He’s trying; he listens to his mom and his girlfriend when he has to, but when he needs to hear a voice of reason in his own head, emotion gets the best of him. Twenty-two is not an age when reason wins out over emotion easily — it’s an age when experience reigns and can, as Friedrich Nietzsche predicted, leave no option for getting stronger if it kills you first. The murder of Oscar Grant set off a wave of protest demonstrations in the Bay Area in 2009. Numerous cell phone videos were the source for Ryan Coogler’s footage of what happened when BART officers unleashed fury restraining young black men for getting into a fight on the train. No justice equals the crime of murder, but the punishment fell far short; two years for a killer who served only eleven months. BART officers assigned to deal with disorder did not contain the problem. Instead, an evil force rose through the chaos and overrode an officer’s determination to control the situation, depicted in the film as accompanied by a racial slur. An irretrievable bullet went into Oscar’s back while he lay prone, pushed flat on his stomach and handcuffed. The movie shines a light on an egregious shooting, but the shooting failed to pass quietly into history, the same societal tensions reignited by incidents such as Trayvon Martin’s death in Florida. Merely shining a light on similar shootings doesn’t proffer a solution. The lapse in duty to perform the job at hand — to keep order —succumbed to violence, and fate took Oscar’s life. In the wake of Grant’s death, failure to prevent dark forces from taking center stage leaves a great sadness. No hero stepped forward to defeat the sweep toward tragedy and save Oscar’s life. And no spirit of the times has yet emerged to make another exact incident passé, a thing of the past. Everything about Fruitvale Station – the film, its context and its inevitable outcome – feels serious, not easily assigned to an ‘ism’ nor easily redeemed. And yet paying attention, bringing a close focus to bear – even to watch Fruitvale Station with intention – is to make change. If you doubt the power of focused attention to make change, take a moment, sit in a dark room and stare at a single point of light that you know is stationary. It will, before your very eyes, begin to leap about. Turn the lights on and there it is, a pinpoint of light with a new potential in your mind. Now go one step further. The Heisenberg’s Uncertainty Principle asserts human attention changes objective reality. If the heart of the matter is to change a social legacy, let’s watch Fruitvale Station closely, intensely, using the power of attention to make change. The more we see how ordinary Oscar is, the more we are able to counter the evil that glimmers in the darkness of history and in the depths of meaninglessness that stalks the human psyche. And now I invite you to look again at Fruitvale Station from a different point of view, shift your vision and use the power of your attention to participate in the dramatization of an event of history one more time. Look at the film through the eyes of True Emerson Shields. At a matinee showing of Fruitvale Station, taking refuge from the heat in a small theater in Berkeley, we wept. Following the film’s climax, during which 22-year-old protagonist Oscar Grant III (Michael B. Jordan) is fatally shot, the screen goes dark and the sound cuts out for nearly a minute. If the average showing is anything like mine, a chorus of sniffles and sobs will emerge from the seats during this silence. What we the audience had witnessed, we all seemed to realize, was an attempt at facsimile; the violence captured by so many cell phone videos on New Years’ Eve, 2009 had been unleashed a few BART stops away upon a man who has become a symbol of the wicked fruit a city’s malfeasance bore, his likeness painted on street corners and bus stops. He is a victim, a symbol and a folk hero to the people of Oakland. Fruitvale Station endeavors not to exalt Grant, employing a handheld style and a seemingly judicious attitude toward the characterization of a man who, the film suggests, is of a people rather than above them. Despite the crushing inevitability of the film’s climax, foreshadowed more concretely than those of other “true” stories by virtue of the actual video footage included after the opening credits, we get the sense that Grant’s character is thrust into myth, thanks in part to Jordan’s believable, subtle performance. Plausibility is the currency in which the film deals. We join the story as Grant wakes up on New Years’ Eve next to his wife Sophina (Melonie Diaz), a firecracker whose street-talk comes off stilted yet mordant, cutting the adulterous Oscar to the bone. He takes his daughter to school and runs around trying to find a birthday card for his mother, Wanda (Octavia Spencer), who chides him for not wearing his headset while he’s calling her from behind the wheel — all this while a big bag of weed is stuffed into the front of his pants. Fired from his supermarket job for being late and prone to bursts of street-tough, incendiary attitude, Grant isn’t perfect. He’s already landed in jail for selling drugs (in a flashback we see Grant snap at his mother during visiting hours, and she decides to leave, tearfully) and is facing an impending financial crisis due to his indolence and carelessness. Yet Grant’s last day contains even more moments that lionize him. He befriends a stranger at the market and allows her to talk to his grandmother on his cell phone, so that she might borrow a gumbo recipe; a friendly pit bull Grant encounters at the gas station is nailed, moments later, by a car and dies in an eyebrow-raising bit of foreshadowing; when his daughter remarks that she’s scared by the sound of “guns” — New Years’ Eve fireworks — Oscar calms her down and brushes his teeth with her in a final moment of filial togetherness. Things seem to be on the upswing for our protagonist. During his ascent, he ditches his weed and gets a suggestive business card from a web designer after helping the man’s wife find a bathroom late at night. A conscious effort is made to balance Grant’s character, but one of the kids on the seesaw is a little heftier than the other. At times the irony can feel heavy-handed. The cartoonish, bullheaded cop who drags Grant off the train seemingly goes out of his way to berate and demean the protagonist and his pals, who are only detained because an old prison rival of Oscar’s just happened to start a fight on the train that night. The scenario is implausible, especially considering the verisimilitude of the scene in which the actual BART slaying is portrayed, and a bit disappointing. One wishes the film relished less in the dramatic and lingered further on some of its less obvious, more haunting images — one shot of a train whipping kaleidoscopically by, its whine becoming a moan as it disappears into the tunnel, has indelibly altered the way I feel watching BART cars exit the station. The impact of the station slaying, like so many other moments in the film, is elevated by a similar, close attention to visual and auditory detail. The bustling party atmosphere of the San Francisco-bound BART train is vibrant, populated by colorful cameos and accompanied by a soundtrack blaring from a passerby’s portable speakers. When Grant is shot we get a close-up of his face, lips streaming blood, and the sound cuts out save for the monumental bell-ring of a single, fateful shell bouncing on the concrete. In Fruitvale Station, its release possessing an eerie timing, racial bias is mostly wrung from the film — one uncomfortably historic insult by a certain bullheaded cop somehow clings like a loose thread — leaving us with a perhaps over-inflated portrait of a man. This has nothing to do with Grant’s actual, real-life persona but with his character’s adherence to Hollywood-hero conventions. Maybe this is the story we want, though, as grieving or mournful citizens. This is a story not about race but a victim of circumstance. In the wake of such irrational tragedy, explanations are both scarce and insufficient, speculation often trumping analysis when it comes to making sense of it all. As is the case with many myths, such a definite, authoritative vision of an event as Coogler’s film, even this far after the fact, can be comforting as a means of rationalizing something unbelievable. Maybe in a better world — a world where Oscar Grant is alive, where his story does not become a proving ground for a first-time director or a rallying cry for would-be avengers — tragedy would not be molded into entertainment. Cultural implications aside, that’s exactly what the film is; if the director had solely wanted to draw attention to the injustice, the real-world tectonic shifts that occurred within Oakland and the country, that Grant’s death inspired, he would have filmed a documentary. Impending historical doom has always made for convenient storytelling, and dramatic irony is at least as old as a certain pair of star-crossed lovers. But to confuse the film’s attempt to build a coherent, meaningful narrative with the actual desire to construct a similar narrative outside the theater is folly. Those people sitting around me that hot afternoon may not have brought jackets to the theater, but they certainly brought their sympathy and their sorrow at Grant’s death, emerging in the dark like long-dormant saplings after a forest fire. Of course, as a twenty-something I am surrounded by other media-savvy young people whose opinions of the film run the gamut from reverence to acute criticism. So tired of the hackneyed Hollywood drama — and so accustomed to it — we are that we labor to point it out whenever we see it, to simultaneously deride the paint-by-numbers plots and to revel in the artifice of it all. 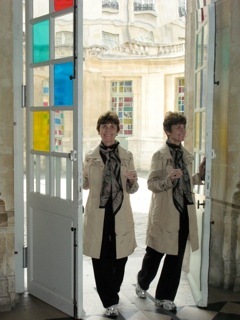 How mythic storytelling can survive in such a scrutinous environment is a wonder, and a near impossibility. Fruitvale Station represents a bold step backward, into an earnest, timeless mode of filmmaking, and another step forward, along the railroad tracks of industrial storytelling. The result is a film that is stretched perilously between the fateful and the inevitable, grasping at something larger than the story of a single man yet shackled by an irony that is as much a product of the film’s storytelling as by the American culture of viewing. The critics will bare their fangs or brandish shields in its defense, just as vehement in their beliefs as the friends, family and protesters shown holding signs in the film’s final moments. While it is difficult for the average viewer to truly discern Grant’s character from a few grainy seconds of footage, what is certain is that he has been championed both on and off the screen, and that is reason enough to hope for a better tomorrow. What a thoughtful, intelligent pairing of reviews from different generations that emerge closer to one another than one would imagine. The presence of evil and meaninglessness as a force from Jane, and the haunting immediacy of experience in life and film from True – both generating sadness and remarkably, hope from “using the power of attention to make change,” as Jane reminds us.